Below is an edited version of an article written by Joe Gagliardi, a graduate of Full Sail's Entertainment Business bachelor's program. Joe was the recipient of the Advanced Achievement Award for the August 2012 EBBS graduating class and winner of a Course Director Award for Professional Communication and Presentation. Unlike most traditional colleges, Full Sail University operates on a unique schedule. Every month we're each handed a new schedule with a new set of classes, instructors, and class hours. Sometimes we luck out and manage to have classes in the same general vicinity, but other times the classrooms can vary between different buildings, even from day to day. Because the locations change so often, it's easy to get lost if you don't study the school maps. (Printable maps of all the buildings are posted online.) Save the images of the maps to your phone just in case there is a last-minute switch-up in scheduling. Take it upon yourself to explore the campus on your own or with a group of classmates to better familiarize yourself with your surroundings. To view campus maps, click here. Meet with instructors before class starts. Because of the nature of the entertainment industry, Full Sail students learn how to “sell” themselves by creating their own personal brand. Networking is one of the most important concepts to pick up during your time here, and making a good first impression with anyone - including professors - is a step in the right direction. This doesn’t mean hunting them down during their office hours or trying to find out what they can do to improve your career. Just send an email and make an appointment to meet in person for a few minutes whenever it is convenient for them. This small and simple task shows that you care about your experience here at Full Sail - and that you’re willing to network and go the extra mile for your career. Failure for attendance is real. Don't let it happen to you. When you started at Full Sail, you were warned that 90% overall attendance is required for all students, with no exceptions. You knew that coming here would be different than attending a traditional college, where some professors do not bother taking attendance because of large class sizes. At Full Sail, however, course directors (and your peers) will notice if you miss class. Repeated absences not only affect your professional reputation, but can also affect your GPS score. You can retake a class free of charge the first time around if you fail with a low grade; however, if you fail for attendance reasons, you'll have to pay to retake the class immediately. This also adds time to your program, which may or may not affect your graduation date. Furthermore, if it becomes an issue to the point where you’ve missed more than the 10% allowance for your program, you'll be subject to review and could wind up not being allowed to graduate. With that said, just be careful. Instructors are usually willing to work with you if they're given a proper heads-up about an excused absence. Be here for the right reasons. With all the degree programs and activities to choose from on campus, you'll find that many people are here for different reasons. 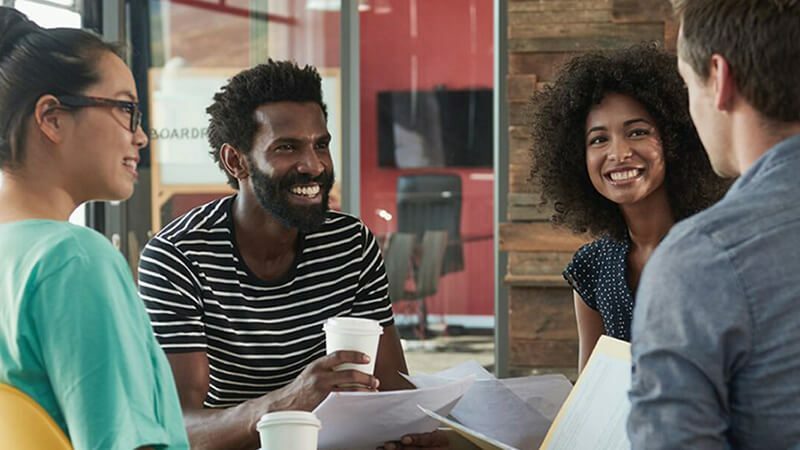 Not every person you meet throughout this journey wants the exact same experience as you, and you could wind up working with people whose learning or working styles differ from yours. The sooner you learn to adjust to working with people who don't share your goals, the better. Make sure you take control of your own education, and don’t allow yourself to be negatively influenced by others. You will wind up walking across the stage with a greater sense of fulfillment and integrity at graduation if you stay true to yourself and to your personal motivations. Be selective when choosing partners for group projects. Be very selective when deciding whom you want to work with throughout your various classes. This sounds like such a simple concept, but I wish someone had told me this when I first came to Full Sail. You attract certain friends because of your similar qualities, but studying with people at school who have similar habits could actually work to your disadvantage. Monitor your classmates during lectures, individual assignments, and class activities, and figure out which students will complement your learning style and help you in group projects. This will make for smoother sailing during your Full Sail journey. The weather inside is frightful. Wear winter clothing to class. Full Sail students learn quickly to bundle up before going to class, even when it's 95 degrees outside. At times you may think the school maintains a frigid temperature simply to cause you discomfort, but this is far from the truth. Remember that your new school is home to a great deal of advanced technology - more than can be found in many other educational settings, in fact - and that the low temperatures help keep our blessed gear from overheating. Time is scarce; take advantage of every opportunity. Here at Full Sail, we’re all aware that we're getting ourselves into accelerated programs. Time is of the essence and we aren’t exactly given a whole lot of it. So make the most of your time here, take every opportunity that arises, and jump without question. Don’t overthink decisions or hesitate to do anything you know in your heart is right for you. You already got this far - now it's up to you to prove yourself and stand high above the rest. Network at every summit, join a bunch of clubs, and get involved in your school. You’ll be glad you did. During your time here, you'll go through a lot of classes in a short amount of time. You'll also interact with plenty of instructors, each with his or her own teaching style, many of whom have spent more time out in an industry than in a classroom. For this reason, it's a great idea to ask as many questions as possible. In some cases, your instructors can provide information far beyond the course curriculum, but you might never know if you don't ask. Instructors love it when students take a genuine interest in their fields, and seeking additional guidance can create some great connections and networking opportunities.